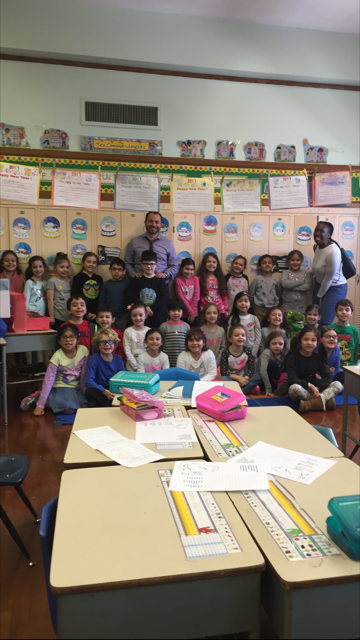 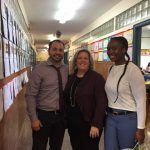 In honor of Dental Awareness month, Dr. Joseph Pantaleo and Dr. Terri Ambrose visited OLBSCA on February 10th. 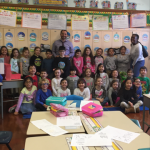 Dr. Pantaleo is a dentist from Central Park Dentistry, who also has a nonprofit organization called Tomorrow’s Smile Today. 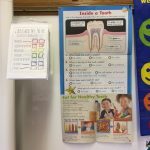 Dr. Ambrose is a pediatric dentist who assisted him. 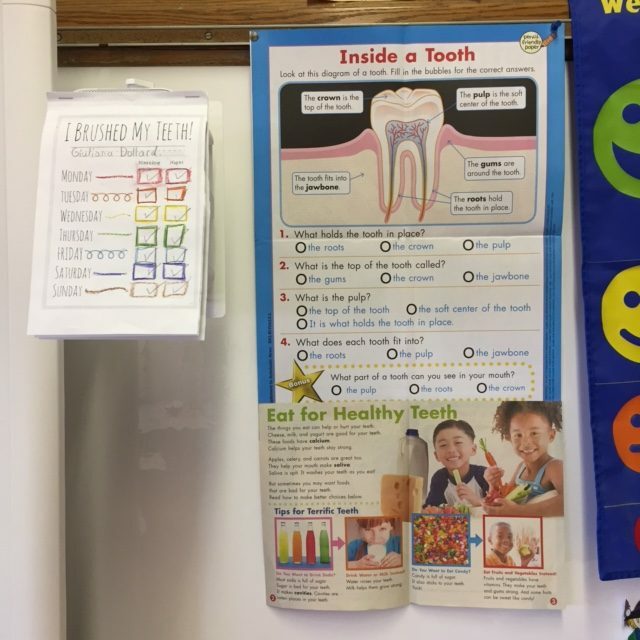 Together they came to educate the students in grades K through 8 on the importance of dental health. 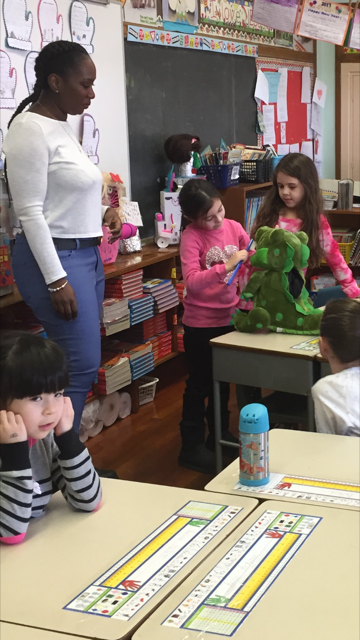 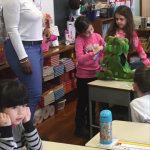 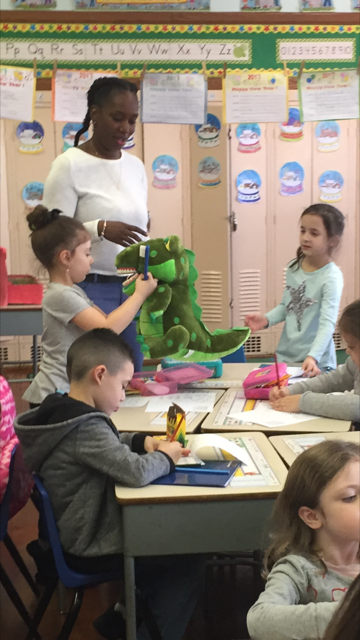 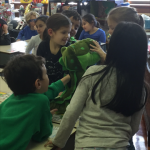 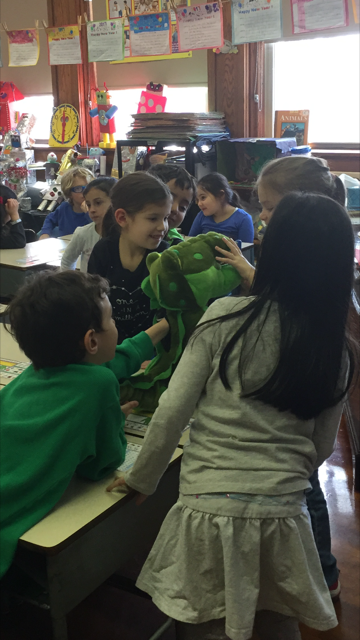 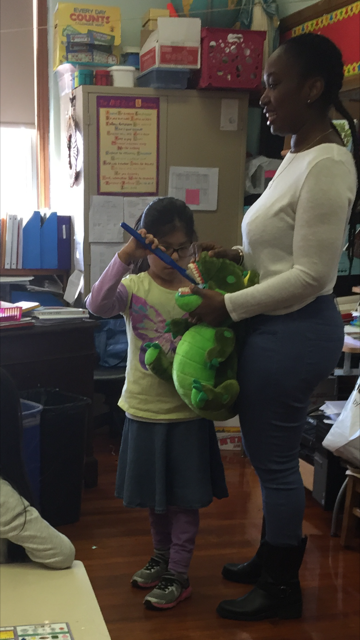 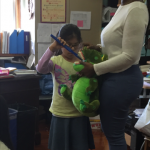 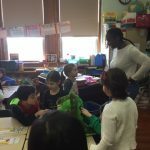 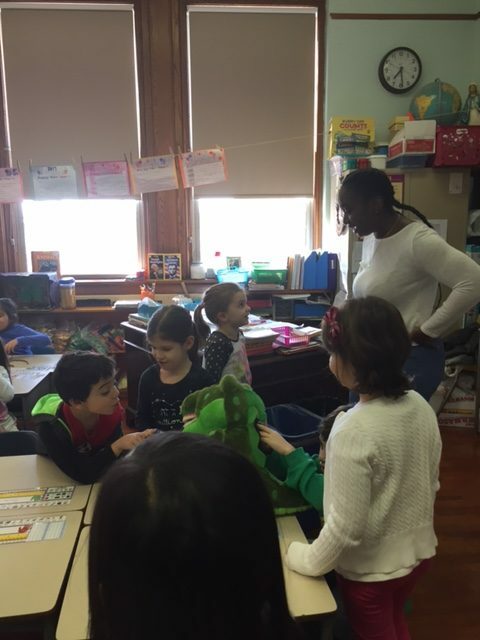 Grades K through 3 especially enjoyed learning the correct way to brush their teeth by practicing on the big teeth of the friendly stuffed dinosaur! 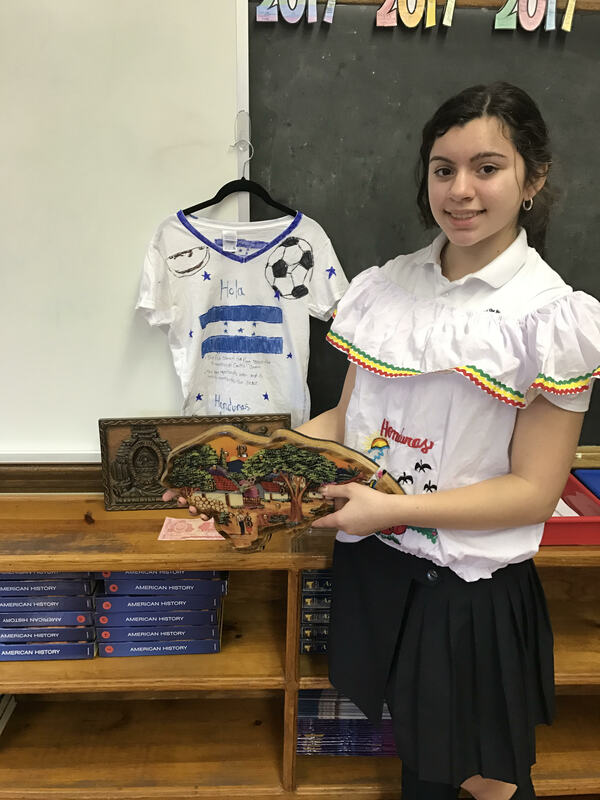 The 8th grade explored the immigration experience at Ellis Island and had the opportunity to research how his or her family arrived in America. 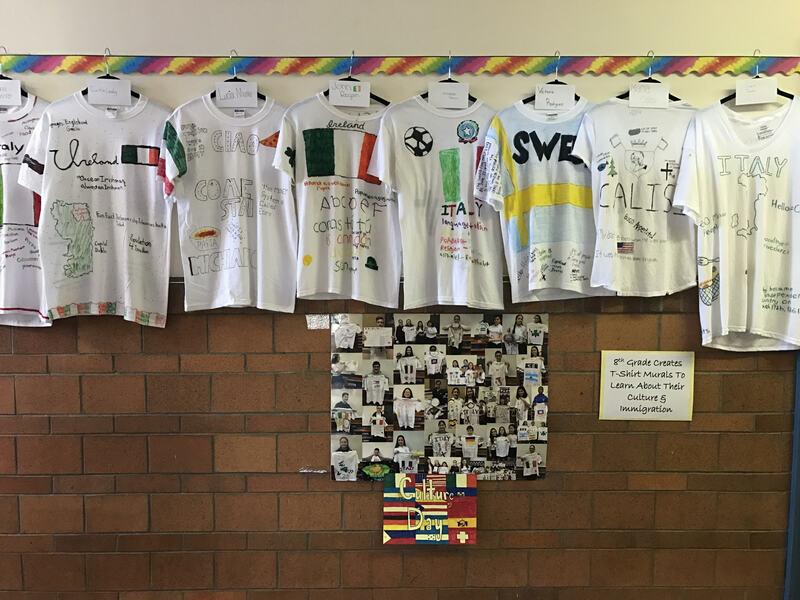 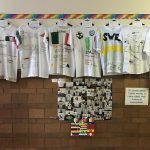 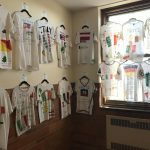 Each student created a t-shirt mural that captured his or her culture and family’s journey. 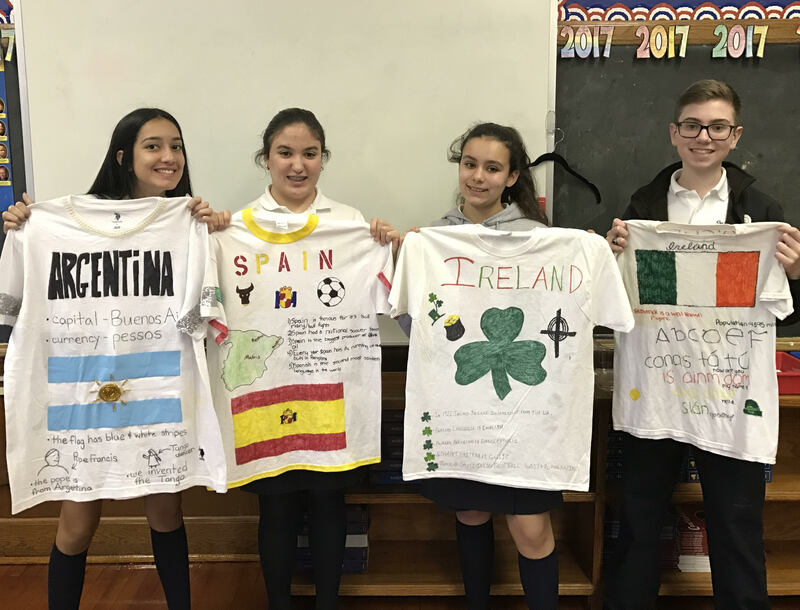 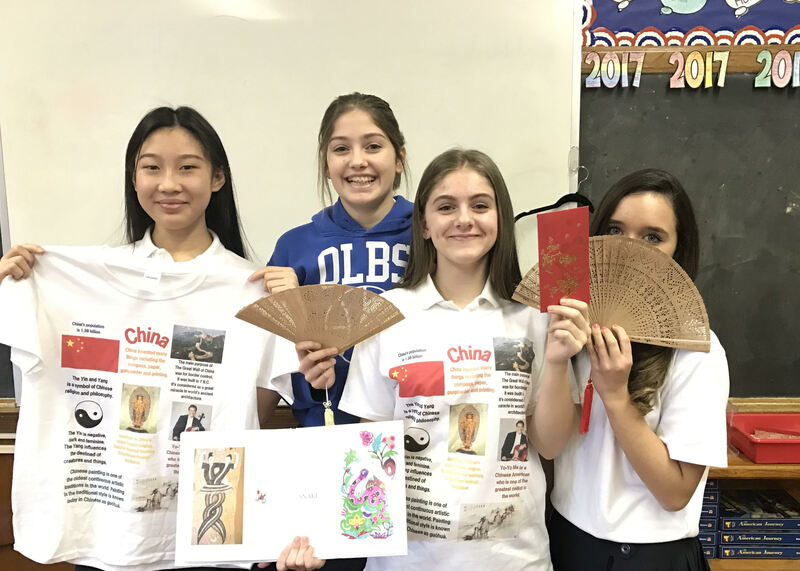 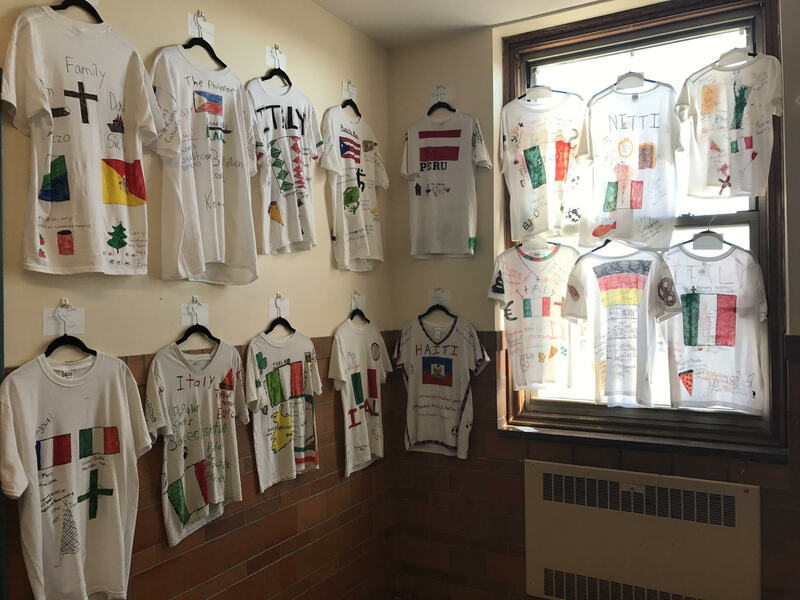 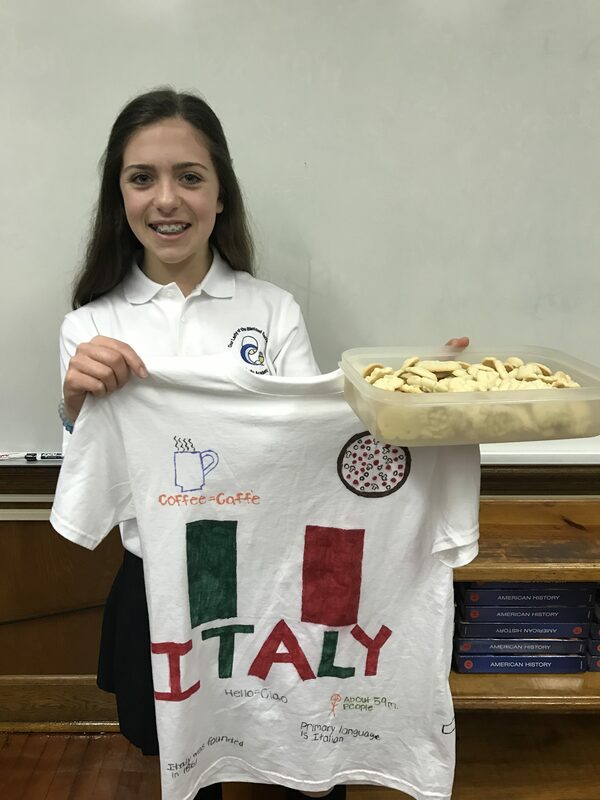 The students celebrated their unique identities by showing off the t-shirts and sharing cultural food, clothing, and personal items in class. 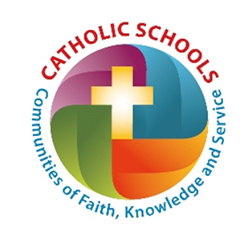 Catholic Schools Week is here! 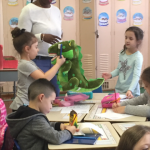 Join us January 29th through February 4th as we celebrate with special events, open houses, and Student and Teacher Appreciation Days! 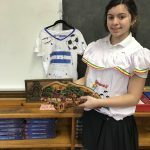 Alumni Celebration on May 13th: RSVP Today! 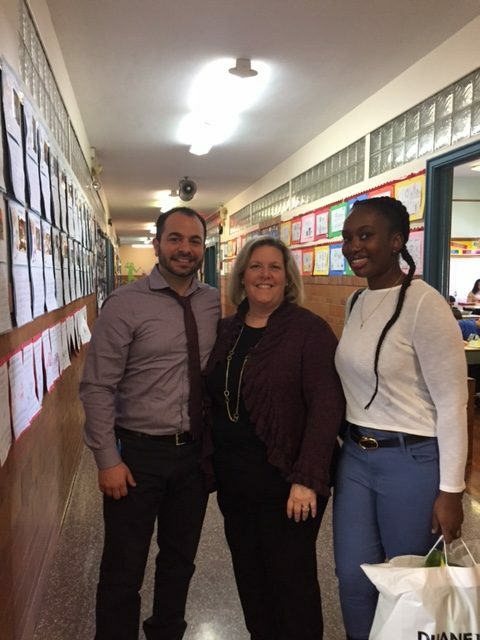 On Saturday, May 13, the Academy Board will host a get-together for all alumni of our school, which has just won the Queens Courier’s “Best of the Borough!” award. 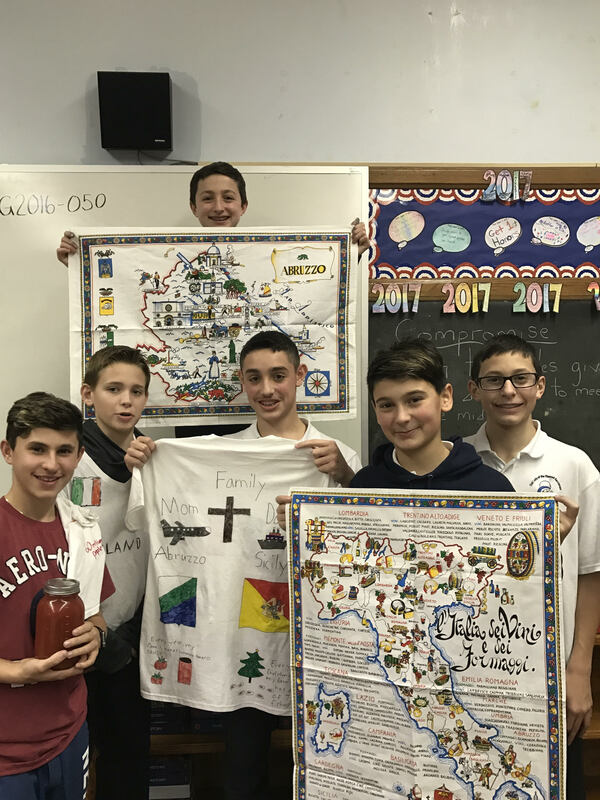 Start with the 5pm Mass, then tour the school, reconnect with old friends, meet the current staff and Board, and join your classmates for a light dinner and refreshments! 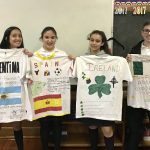 Come and have a great time while we celebrate 65 years of OLBS School and welcome the new OLBS Academy! 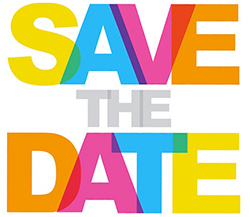 Please let us know if you plan on attending by dropping us a line at OLBSReunion2017@gmail.com by February 15, 2017. 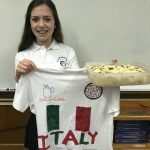 Tickets are $30 per person. 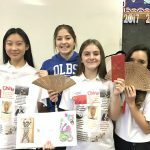 Our eight graders’ Shakespearean showcase was featured on NET TV and in The Tablet!